”Fringe” is a word with a lot of definitions, but they all have one thing in common: they describe something that isn’t just the same-old, same-old. What is a fringe theory? One that doesn’t fall in line with popular beliefs. A fringe party? A political group that doesn’t fit into the mainstream. A fringe festival? A showcase of plays that likely wouldn’t make it onto traditional stages. When you live life on the fringe, you’re letting the world know you march to the beat of your own drummer. When it comes to fashion, fringe is perhaps not quite as bold a concept as those examples, but it’s still something beyond the norm. Fringe is a little something extra, a bit of flair that doesn’t necessarily need to be there, but adds a bit of zest to a piece of clothing. 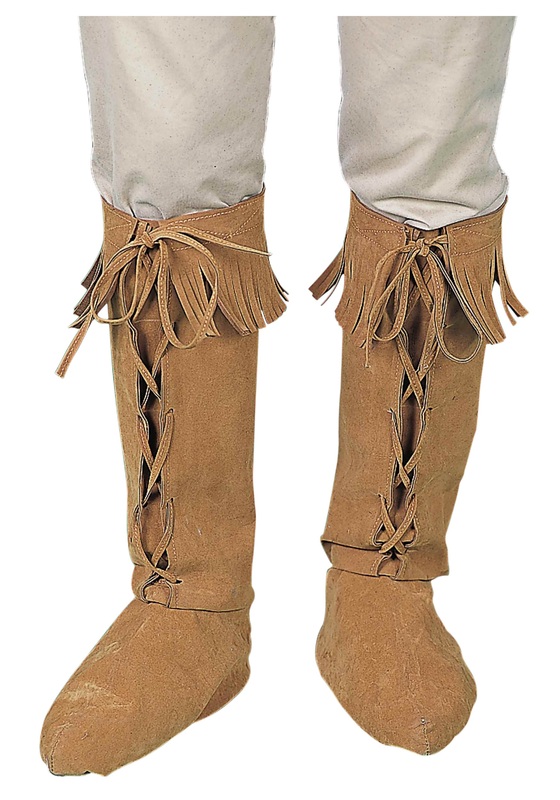 These polyurethane foam boots, for instance, would be plenty appealing on their own, with their faux suede exterior and classic moccasin style. Add a bit of fringe at the boot tops, though, and they become an instant conversation piece. It’s an eye-catching style that lends an old-fashioned air to any costume ensemble, and it lets everyone know you’re not afraid of living life on the fringe.